When you have a bad experience at a local restaurant, what do you do? Speak to the manager? Complain to friends and neighbors? If you’re like me, you just try to ignore it and move on. But what if the experience was so egregious that you can’t move one? It’s logical that you no longer eat there and you will use your influence to stop others from eating there, especially if you live in a town with many other options. Now, imagine you relied on the success of that restaurant for income? Say you own the building and they rent from you. The solution becomes more complex because it goes beyond a meal and a bad experience; it hits the pocketbook. But of course many people won’t find themselves in this unique circumstance, however if you are outraged by the Net Neutrality vote then you may check to see if you hold Verizon in your retirement account. What do you do? Sell your stock, pay taxes on the gain, and invest those funds elsewhere? Maybe, but then you might have to consider how this would affect your carefully crafted diversification strategy. It’s a lot easier to stop eating at a local restaurant than to rid your stock holdings of companies that do not align with your values. In a recent post I shared the Access Ventures philosophy of one-pocket investing. This article explores the aspect of investing in public companies without compromising your values. The ESG considerations facilitate greater understanding of corporate behavior and factors that should be considered alongside normal financial metrics and in conjunction with the portfolio diversification strategy employed when creating your portfolio. Constructing ANY stock portfolio is a lot of work, which is why active traders will charge a healthy fee to manage your money. Constructing ANY stock portfolio is a lot of work AND most active traders do not beat the market average over the long term, therefore we have seen a rise in index funds which are easy to buy, and cheap to hold. Index funds offer ESG themes which may provide a quick solution to the whole problem if you find one that is optimized for your values. The scrutiny in which you apply the ESG considerations is as great as you make it, therefore a lot of work can turn into “never-ending work” if you let it. Up to this point we’ve taken for granted that personal values are inherently known by the investor. From my experience this couldn’t be further from the truth. The process of identifying your values and how you’d like them represented in your portfolio is challenging. As an organization, the team here at Access Ventures went through an exercise to surface our core values as we custom built an ETF for our firm on the Ethic platform. Without a handy guide from Sonefeldt and his team, the conversation would have stayed at the surface level and we would have missed out on ESG areas that we had not previously considered. Make space to reflect on those issues that would cause you to no longer support an organization, because that is what you’re doing here. Determine what, if any, industries are in conflict with your values. It’s common for tobacco (for example) to be excluded from ESG portfolios. What are your “tobacco” industries? Decide whether you need a materiality threshold for certain issues. For example, if you are against firearms would you be okay with Walmart in your portfolio since they sell hunting rifles? Deciding if you are completely against firearms trade or against companies that engage significantly in the manufacturing or selling of firearms is useful as you construct your portfolio. Organize your thoughts into investment screens. An investment screen is a lens in which you view an investment that helps determine if it should be included or excluded from your portfolio. For issues that go against your values, these are called Negative screens. For issues that align with your values, these are called Positive screens. It’s important to note that we have discussed public equities in this article, which is only a portion of your total portfolio. Typically investors divide their portfolio into a mixture of asset classes including equities, fixed income, real assets, and cash. That being said, the framework described is applicable to all investments. With your positive and negative screens in hand, you can begin to sift through index options to see which align best with your values. If you are looking for thematic ETFs, say Low Carbon and Gender Diversity, then off-the-shelf ETF options would be a huge time-saver. You can typically find an overall ESG rating for the the fund, which may be useful as you select your funds. If you want to dive deeper you can download the list of holdings and review each company for fit with your values. Unfortunately, many ETF providers do not tell the investor why they chose the holdings in the fund and you’re left with 1,000+ companies to screen. Luckily there are ESG screeners, commentaries, and other aids to understand how the holdings match your values. If you decide to actively manage the portfolio, then you will need to add a third screen called the Neutral screen. This screen creates a pool of companies that are neither aligned nor against your values that you may add to your portfolio to layer in diversification elements. You can then benchmark your portfolio against the closest index (such as MSCI Global) and adjust your allocations as you see fit. 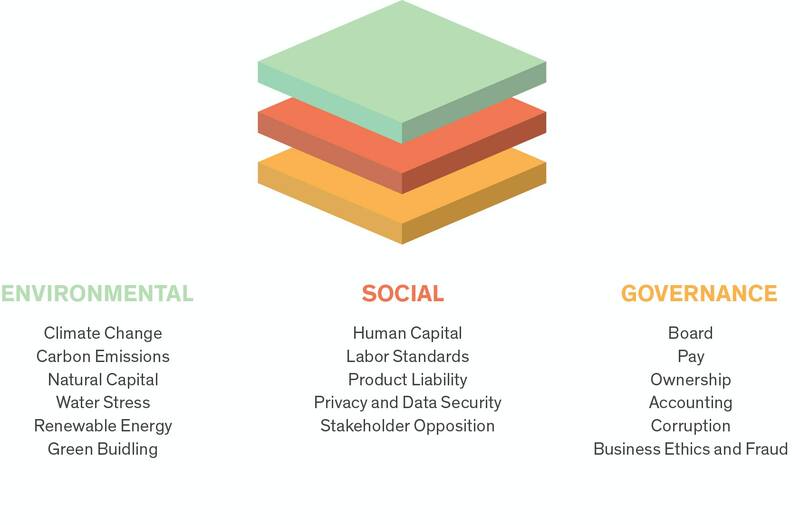 ESG has become industry shorthand for a framework that captures the majority of areas where business, ethics, and values intersect. Access Ventures has traditionally used an active strategy to manage our investments, and our results have matched and beaten the market over the last two years. These strategies are exciting and provide insight into the performance of our values in a global context. We were never excited about the ETF options available as their themes did not overlay well with our values, which was a sore spot because index funds offer lower risk and lower fees. However, with the rise of customizable ETFs we have began to allocate funds to an index of our creation. Having a portfolio that self-optimizes, tracks performance with the benchmark, and reflects our values is a nice addition to our holdings. Now that you have a framework for approaching investments in a way that considers your values, you can begin to change how you invest. You don’t have to be completely value-aligned tomorrow, but you can set a target you’d like to achieve and work towards it. My advice is to seek investments that provide financial results on par or greater than the market. Advisors can help, ETFs can get you going, and the industry continues to develop ways to make it easier to invest with your values. It’s a lot of work, but you are not alone. If you need help, let me know!